A while back I won a blog giveaway and my prize was to have an advert on the Shop Handmade UK blog for the month of December. 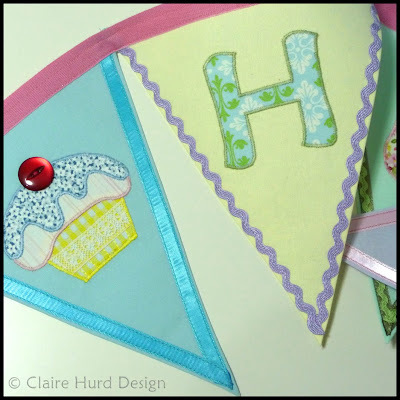 My bunting is finished! I am really pleased with it so thanks again to Mum for doing all my cutting for me and getting me started. I have made it in three sections so it can be hung in one long strip or in three sections one above the other if space is limited. Please excuse the quality of the photos, they were taken in the evening and would really have benefited from some natural light! 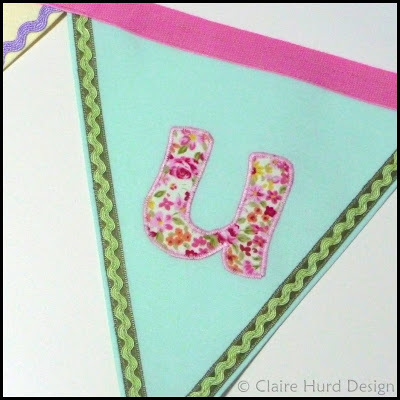 Keep your eyes peeled for bunting appearing in my online shops (here and here) in the new year. 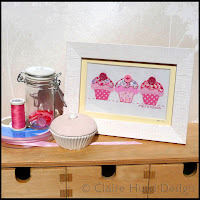 If you would like to place an order before then simply email me at studio@clairehurd.co.uk. I also wanted to share my butterfly badges with you. I shall be selling these at the Handm@de Cambridge Craft Fair on Saturday the 5th December (not long now!). 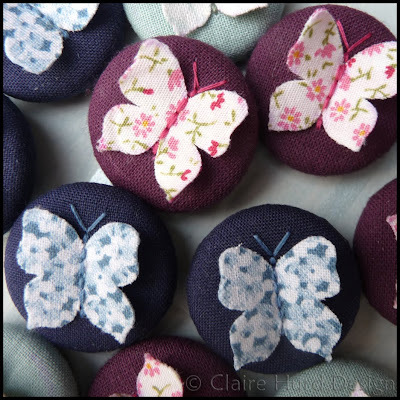 These floral butterflies have been hand-stitched to their fabric base down the centre only so their wings stand forward and reveal a contrasting geometric fabric reverse. The butterfly shown has a bright pink gingham on the reverse. My lovely Jo Heckett giveaway prize! I wanted to share a photo with you today. 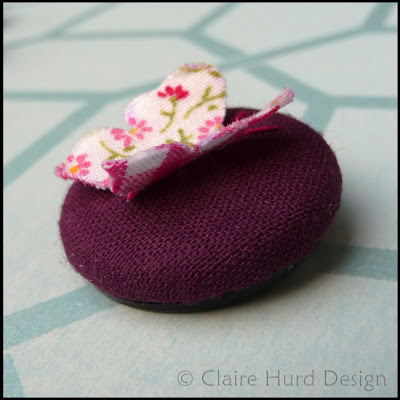 I won this lovely clip-on peg by Jo Heckett in one of her Facebook giveaway competitions. I shall now be packing it away carefully ready to attach it to a special note to my 'husband' (!) on my big day. It will make a lovely addition to the handmade elements I am introducing to my wedding decorations. Do take a look at Jo's website and also check out her Facebook fan page for more beautiful ceramic gifts and household accessories. 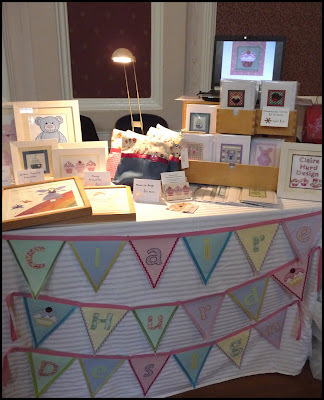 I have now received all the promotional material for my upcoming craft fair and wanted to share the details with you. It would be great to meet some of my blog followers on the day so if you are able to pop along do come and say hello. I also wanted to show you this great Google Map. 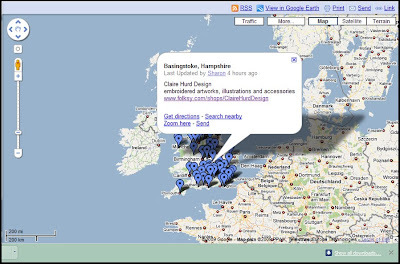 It has been put together by Sharon of Ravenwolf Design and shows the location of Folksy sellers in the UK. The idea is that we can get in touch with others nearby to form friendships and organise craft fair table shares together. It is a work in progress but is looking fantastic already. Many thanks to Sharon for all the hard work she has put in to this map. Just popping my head in to say a quick hello. I am busy, busy, creating Christmas goodies for my Craft Fair stall whilst keeping on top of my online orders and commissions. Here is a quick glimpse of what I am working on today. 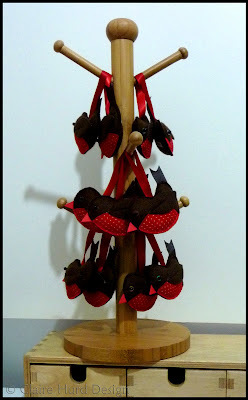 My Handmade Christmas Robin decorations have been selling as quickly as I can make them so I have been working hard these last couple of days to produce a bulk quantity in preparation for further orders and for my craft fair stand. 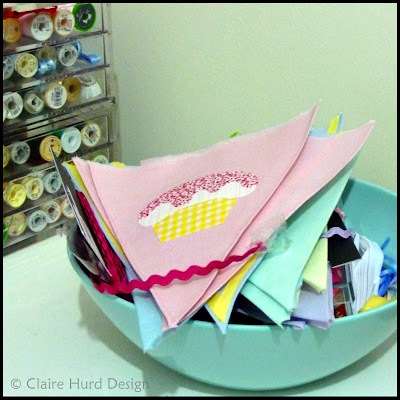 I also have some 'Claire Hurd Design' bunting cut and waiting to be embroidered which my Mum has very helpfully started off for me (thank you Mum!). I shall do a proper reveal as soon as it is finished. 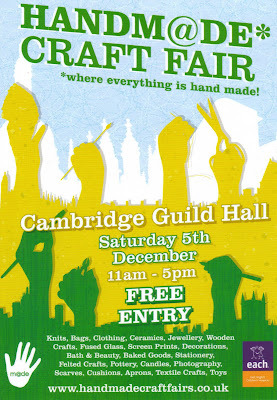 The Christmas Craft Fair I shall be exhibiting at is the Handm@de Cambridge Craft Fair at the Guildhall in Cambridge city centre on Saturday the 5th December between 11am and 5pm. Do come along and say hello. There are some great designers exhibiting and it will be the perfect opportunity to do some unique handmade Christmas shopping. I have taken part in the Shop Handmade UK giveaway and boy what a giveaway it is! The winners will receive one of two prize packs worth over £200 each. 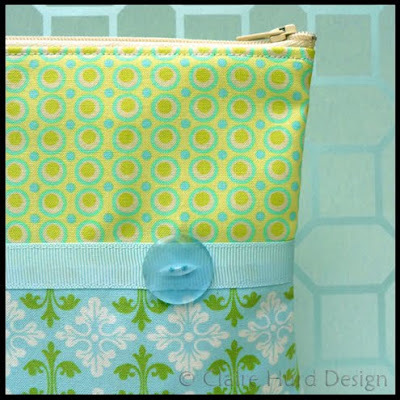 My contribution was one of my pretty pink coin purses and can be found in prize pack one. 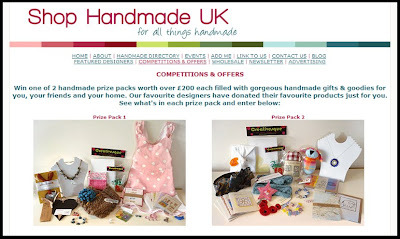 For full details and the chance to enter this fantastic competition click here to be taken to the Shop Handmade UK competition page and follow the instructions there. The deadline for entries is 11:59pm (UK time) on Friday 4th December 2009. Apologies for not having updated my blog in a while. I have been very busy with orders recently and have been spending my time in front of my sewing machine rather than my computer. I had a large bag of parcels to post today, a combination of online orders and commissioned orders. I wanted to tell you about one parcel in particular - framed embroidered artworks destined for my new stockist! 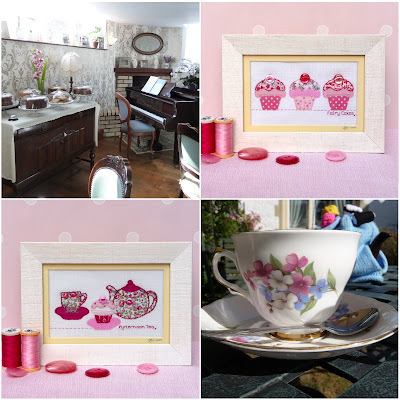 I am so excited about my design work now being stocked in the 'By Jove' tearoom shop. I was introduced to this delightful tearoom when hunting for wedding venues and my fiancé and I celebrated booking our wedding over tea and cakes there! I am a huge fan of tearooms and home made cakes so could not believe my luck when I was introduced to this tearoom. It is beautiful, quaint, truly delicious and has a fabulous little shop alongside the tearoom. I could not have hoped for a better setting for my framed embroidered artworks. 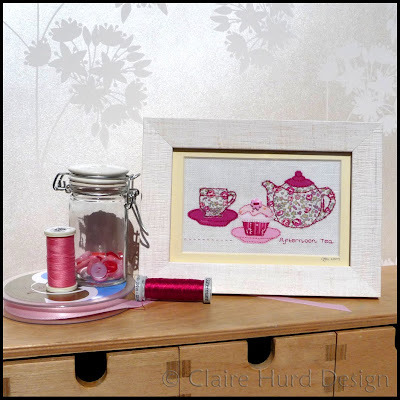 'By Jove' will be stocking my 'Fairy Cakes' and 'Afternoon Tea' framed embroidered artworks and my cupcake themed greetings cards. Please click here to be taken to the 'By Jove' website. 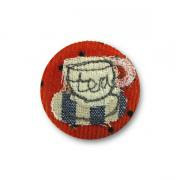 I cannot recommend this tea room highly enough and suggest that if you are anywhere near Burwell (Cambridge) you should pop in for tea and cakes, enjoy the atmosphere and marvel at the quirky handmade tea-cosies covering each delicious pot of tea! Now that these invitations have all been sent out and received by the wedding guests it is safe for me to blog about them. I received an order for wedding (and evening) invitations a short while back from one of my lovely baby blanket customers (remember my Dylan and Ava blankets?). This was the first time I had produced wedding invitations so I welcomed the challenge. My brief was simply to include the text Wedding/Evening Invitation, heart motifs and if possible tie them in to the colour of the dress. The fabric swatch for the dress proved very difficult to match a craft paper to so I created my own by pasting a textured paper to a black base and painting it with titanium gold paint. 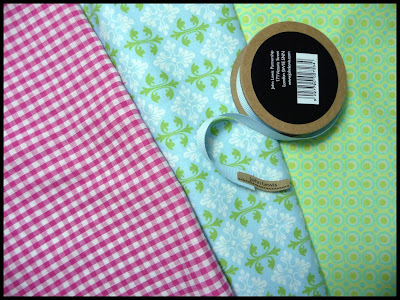 I then handmade a heart motif using the fabric swatch I had been given and photographed it. I used the heart motif and chosen text to create a printed ribbon by arranging it in Photoshop and then printing on to t-shirt transfer paper. This was then applied to cotton tape and threaded through my painted paper on the card base. 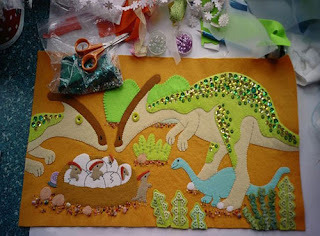 The invitations were finished off with some co-ordinating machine embroidery stitch lines. I am really pleased with the results. Now I just need to start thinking about designing and making my own wedding invitations! Whilst working on an order for one of my personalised handmade make-up bags from my NOTHS store I decided that it was about time I made some in the lovely new Amy Butler and Tanya Whelan fabrics I bought recently. 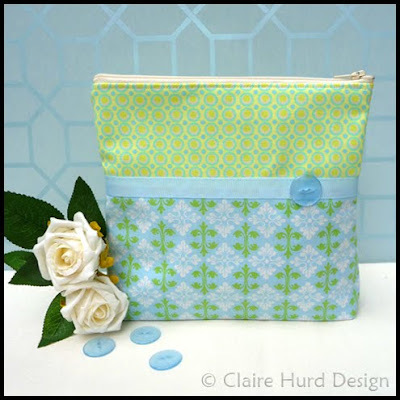 The result is this Contemporary Handmade Make-up Bag now available in both my NOTHS and Folksy Shops. 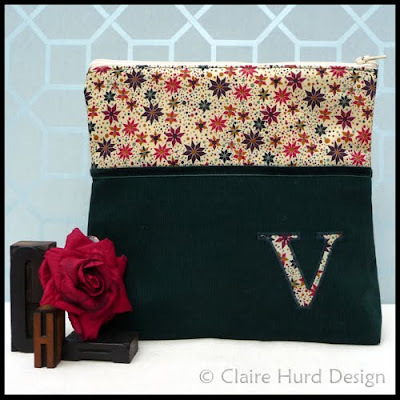 I thought I would also take the opportunity to re-photograph my personalised make-up bag with the bag filling more of the frame. 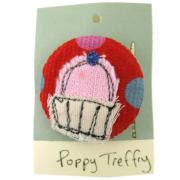 My Fairy Cakes artwork is on the 'Craft Juice' website today voted as one of their top crafts! 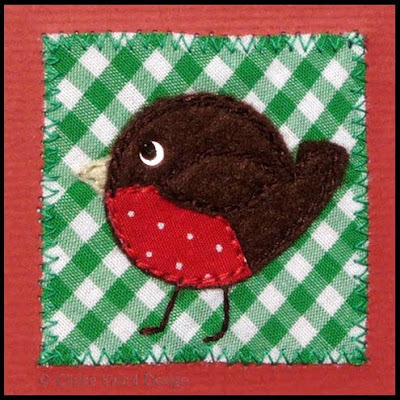 I have been listing more Christmas goodies in my online shops today including my personalised Christmas stockings in my NOTHS shop and a cute little Christmas robin decoration in both my NOTHS shop and my Folksy shop. 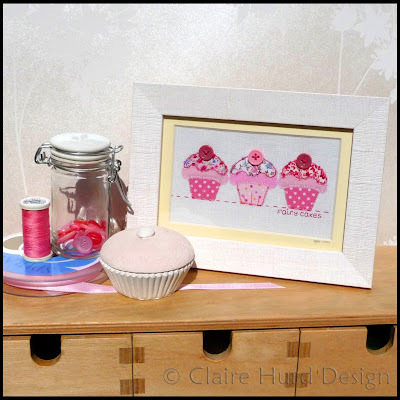 As always, feel free to contact me at studio@clairehurd.co.uk if there is anything you would like to order directly. 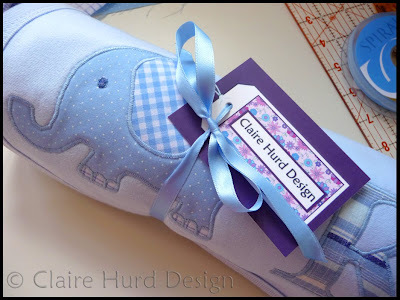 Claire Hurd Design on Cuteable! 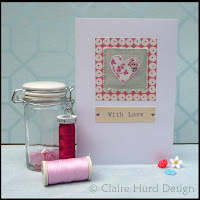 My 'With Love' heart greetings card was featured on the Cuteable website today. 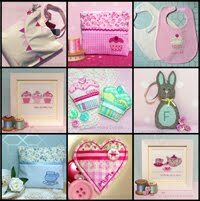 Do pop over and take a look, it is a wonderful site and a real treasure trove of beautiful designs. 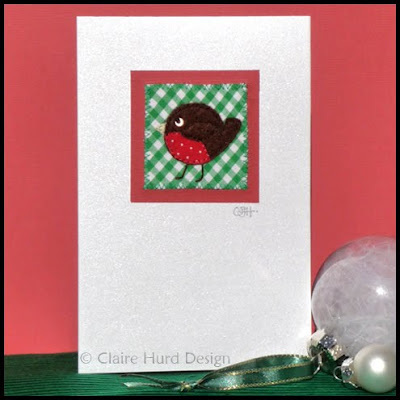 My latest Christmas card design shows a cute little Christmas Robin. It is available now from my online shops here and here. I have been trying to hold off listing my Christmas items online as it still feels too early to be admitting that Christmas is on its way. However, browsing online this weekend and also receiving my copy of the Not on the Highstreet Christmas catalogue in the post made me realise that I had better get listing ASAP or risk getting left behind! It seems that the beginning of October is the time to list Christmas items and not mid-late October as I had imagined! 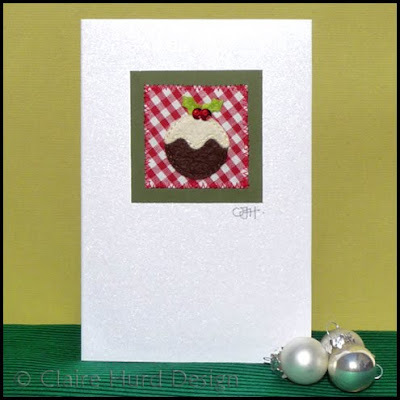 I have now listed my Christmas Pudding card on both Folksy and NOTHS and have plenty more Christmassey items lined up to join it. The only problem with this time of the year is having enough daylight to take sharp and bright photographs. Hopefully I will get a chance to photograph a couple more items tomorrow and list them too. 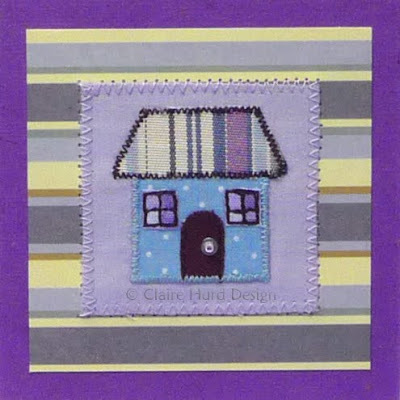 I shall keep you updated as I add each item and remember if you would like to place a custom order based on something you see here or simply wish to order direct you can email me a studio@clairehurd.co.uk and I will be happy to help. Today I paid a quick visit to John Lewis (my favourite department store) and could not resist these few fabrics to add to my collection! The spot is an Amy Butler fabric from her 'Midwest Modern' collection. I shall team this with the lovely 'Darla' patterned fabric by Tanya Whelan, and the soft blue gros-grain ribbon to make more cosmetics bags for my online shops (here and here). I shall also use the raspberry pink for cosmetics bags, teaming it with the last of my lovely Japanese sweet treats fabric. I shall post images here once the cosmetics bags are completed. Before I can start with those I have a couple of commissions to complete and some more Christmas designs to do so for now I shall just admire my lovely new fabrics and look forward to using them as soon as I have time! The first design from my 2009 Christmas card collection is now ready. 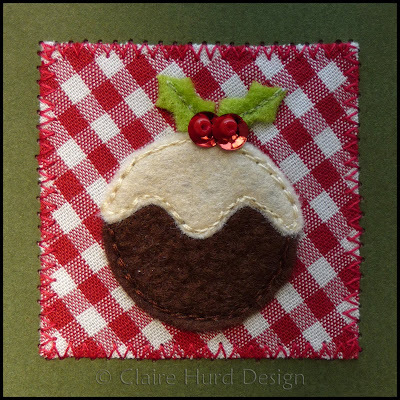 I have created a small Christmas pudding motif in felt and appliqued it on to a festive red gingham base. I have decorated the pudding with felt holly and sequin and bead berries. The card base is a lovely pearly white, as is the matching envelope. The card measures approx. 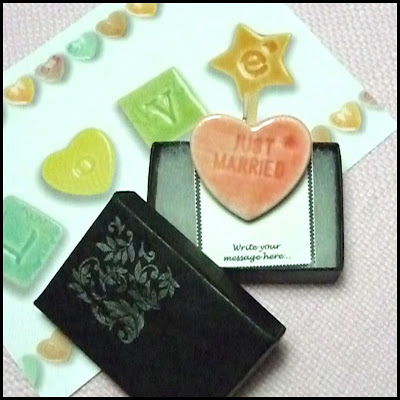 10cm x 15cm and has been left blank for your own message. 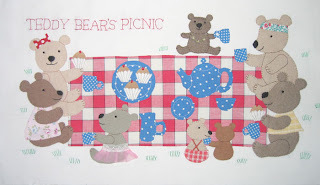 The card comes in a protective cellophane wrapper and will be listed in my online shops for £3.80 each. 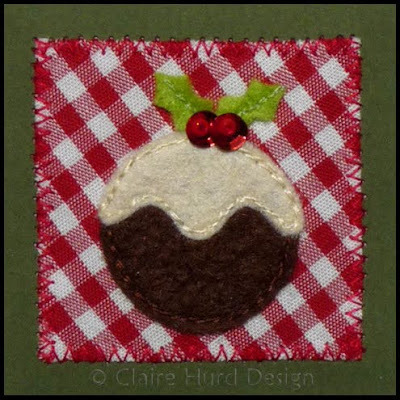 However, my Christmas goodies will not be listed in my online shops until mid-October. 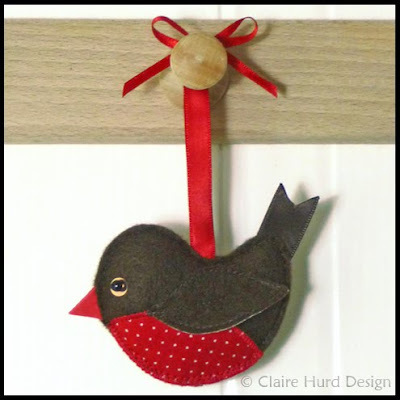 For an early-bird 10% discount and free P&P please email me directly with your order at studio@clairehurd.co.uk. 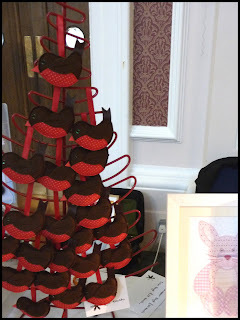 Today I have been featured on the Cambridge Handm@de blog as one of the makers that will be exhibiting at the Cambridge Handm@de Christmas Craft Fair being held at the Guildhall in Cambridge city centre on Saturday the 5th December. I took part in a 'Meet the maker' interview so if you wish to learn a little more about me then pop over to the Cambridge Handm@de blog and take a look. 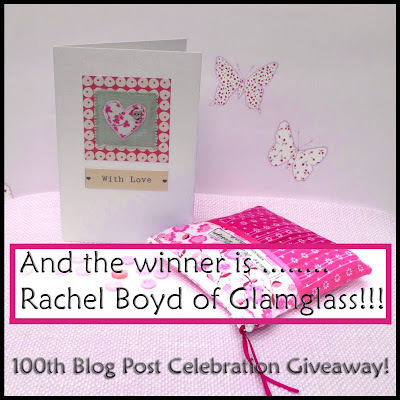 I was featured today on the Glamglass Gifts Blog created by Rachel Boyd, the winner of my 100th blog post giveaway. 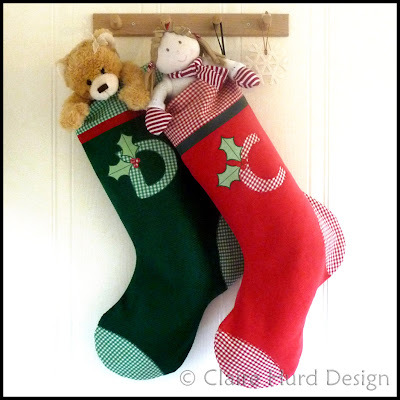 Click on the image below to see Rachel's crafty goings on at Glamglass Gifts. 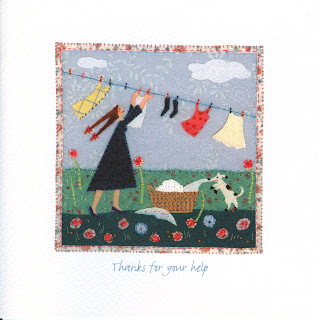 I have just listed a new greetings card design for sale in my Folksy shop. This design has been created in a similar style to my cupcake, heart, and boat cards mentioned in my previous post so they sit together as a small greetings card collection. 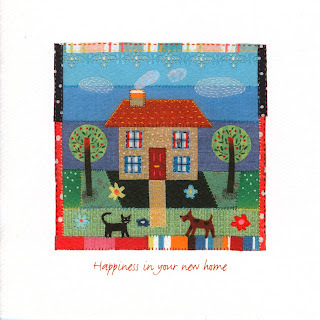 This appliqued house card has been left blank for your own message but of course lends itself beautifully to be a 'New Home' card. 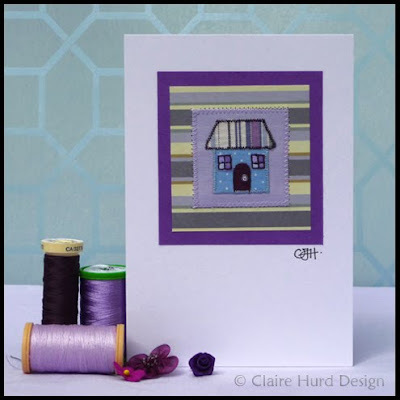 This carefully handmade card combines pretty blue and purple cotton/silk/linen fabrics and has been finished off with a tiny bead and sequin door handle. 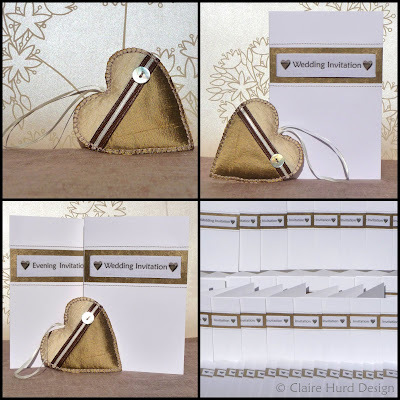 If you would like to have one of these cards made especially for you with personalised details or text then email me with your requirements on studio@clairehurd.co.uk. Thank you so much to everyone who entered my blog giveaway - I had over 40 entries and was so pleased to hear all your lovely comments. 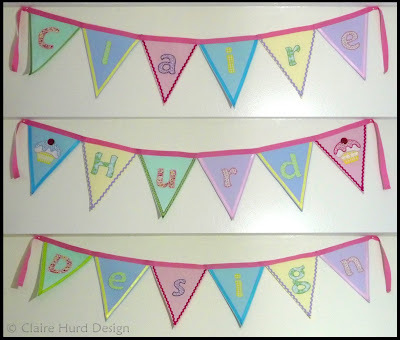 It is great to have more people to share my work with and I hope you all enjoy keeping up to date with my latest creations at Claire Hurd Design. 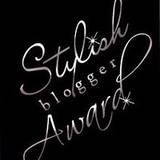 And with out further ado, the winner is ........ Rachel Boyd of Glamglass - many congratulations to you! 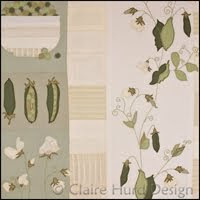 If you could email me your postal address to studio@clairehurd.co.uk then I can get your goodies sent out to you ASAP. To select who would receive my goodies I numbered all your comments and names as you became fans of my facebook page and followers of my blog. I then used an online random number generator to select my winner. My draw took place at 1pm GMT as promised although the snapshot of the number generator result below is not showing UK time! 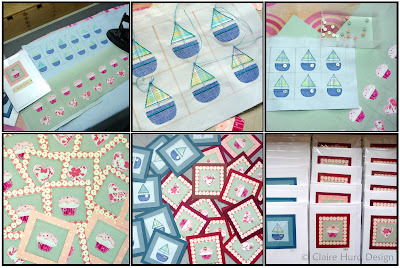 *100th Blog Post Giveaway* and Small-Scale Bulk Production! 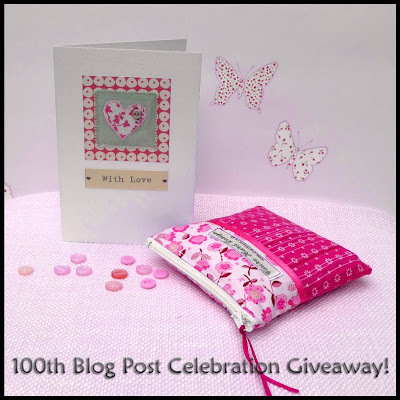 Today I am celebrating my 100th blog post! To thank you all for joining me and for your lovely comments and messages I am having a celebratory giveaway. To be in with a chance of winning one of my 'With Love' appliqued heart cards and a handmade coin purse (as seen in my Folksy shop) you simply need to follow the steps below. Or if you are already a follower and fan of Claire Hurd Design just leave me a comment below this post telling me which of my products is your favourite and why. I shall number each member/comment as they arrive and use a random number generator to select the winner. The closing date for this giveaway is 1pm on Wednesday 16th September. I look forward to your entries. I also wanted to share some new greetings cards with you. I have been doing my own small-scale version of bulk production (!) this week and producing stock for my Folksy shop and for a gallery in Yorkshire that also sells my cards. 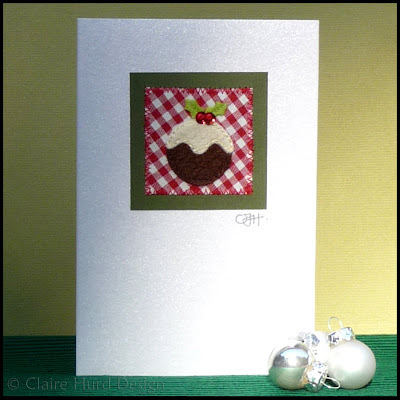 If you would like me to make a special card for you based on any of my designs then please contact me directly at studio@clairehurd.co.uk. I wanted to share my final two personalsed baby blankets with you. 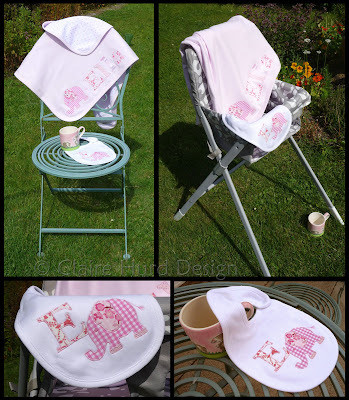 My final girl's blanket for baby Ella was produced as part of a set with a matching personalised bib. This is the last of my stock of plain blankets. I am now searching for a new wholesale supplier with small minimum quantities so I can produce personalised baby blankets for my online shops. 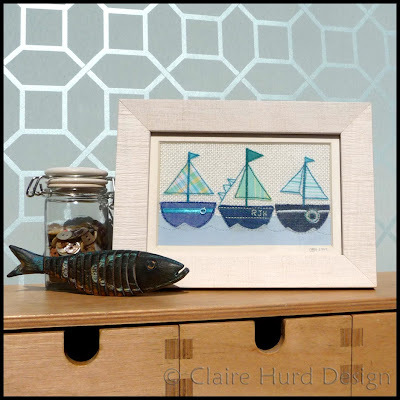 I have also re-framed my embroidered artworks on sale in my NOTHS shop and introduced my new Boating artwork. These frames are made locally and are a nice solid wood design with a textured white finish that makes me think of natural linen. They are glass fronted and have a sturdy stand and hanging hooks on the reverse. I think they show my artworks off nicely. To purchase any of the above artworks please contact me directly at studio@clairehurd.co.uk or visit my NOTHS shop here.